When Sierra Bradford's best friend and goddaughter are abducted, she vows to find them at any cost. Sierra—shot at the scene of their kidnapping—checks in to a motel to treat her wounds. It's there that she encounters former Green Beret Rafe Vargas, who's come to her aid…and not for the first time. As his best friend's sister, Sierra is off-limits. But that hardly stops a powerful attraction from growing as they work together on an undercover sting operation to find her friend's adbuctors. 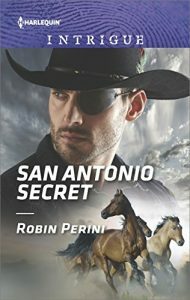 Under the guise of a rodeo cowboy and his pregnant wife, Rafe and Sierra come to find out that the rodeo may be the key to their investigation—and their possible future.